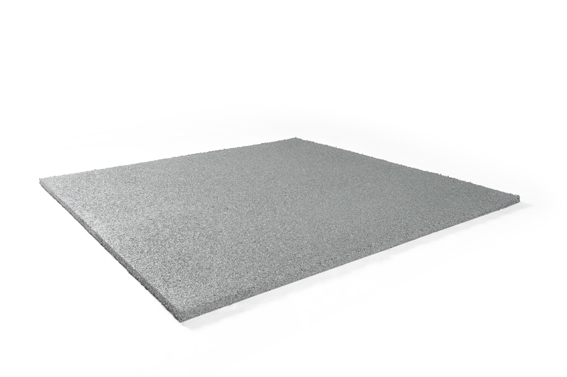 Industrial floorings need to have diverse applications, the Granuflex 20mm Anti Fatigue Tiles are not only tough & attractive but also mute sound. These recyclable, environmentally friendly industrial use tiles are specifically developed for the professional market. A beautiful floor in the dumbbell space or optimise the noise damping in your crossfit space. Granuflex has a wide range of products, all of which excel in wear-resistant, shock and sound absorbing properties. Installation of Granuflex industrial tiles is very simple. (download our installation instructions) These tiles suitable for indoor and outdoor use. Cleaning of the tiles with a brush and water provide a neutral cleaning soap.